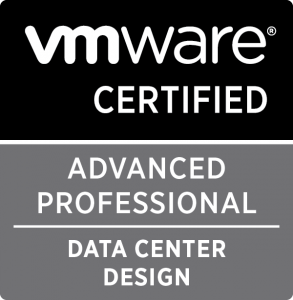 VMware released a new exam to qualify candidates for the VMware Certified Advanced Professional 5 – Data Center Design (VCAP5-DCD) Certification. You have now the possibility to pass two different exams: passing either of these will earn VCAP5-DCD certification if you meet the other pre-requisites. This new exam (code VDCD550) is based on vSphere v5.5, where the existing exam (exam code VDCD510) is based on vSphere v5.0/5.1. Unfortunately, it seems that the blueprint related to the new VDCD550 exam is not released yet: you can only download the Blueprint for the VCAP5-DCD vSphere 5.0/5.1 Based Exam (VDCD510). -edit- : Download the Blueprint for the VCAP5-DCD vSphere 5.5 Based Exam (VDCD550). The VCAP5-DCD Exam consists of 100 questions (mixture of multiple-choice, drag-and-drop items and design items using an in-exam design tool), and the passing score for this exam is 300 (scale is from 100 to 500). It is important to notice that the exam includes 6 designs items in which a VMware vSphere-based solution is designed based on customer requirements using an in-exam design tool. If you are curious, you can test the design tool via this Interactive Exam Simulation. For those who are targeting VCDX – Data Center Virtualization, the VCAP5-DCD certification is a component of the VCDX5-DCV certification track. 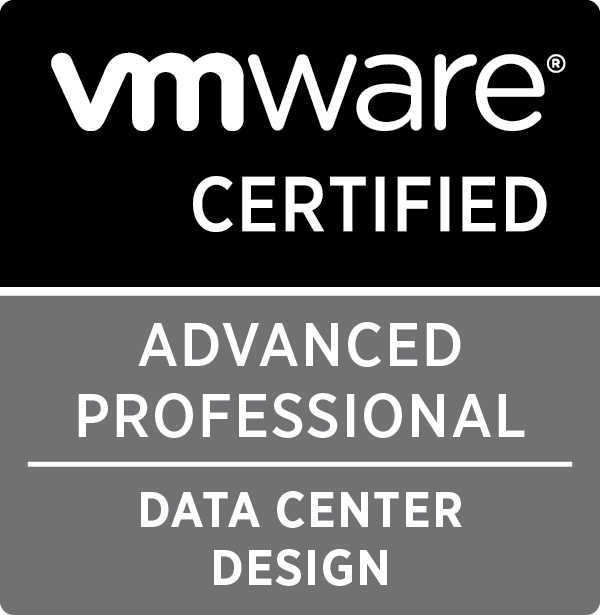 More information on this certification: VMware Certified Advanced Professional 5 – Data Center Design (VCAP5-DCD).